Theoretical Inquiry research papers from Paper Masters match your exact needs because they are custom written by professional writers. Theoretical inquiry is a type of research conducted to develop theory or produce knowledge, and is based in the development of conceptual frameworks and models through logical analysis and reflection. Such research is also known as philosophical inquiry and harks back to Grecian times and early philosophers such as Plato and Socrates. To a large degree, theoretical inquiry is at the core of most learning processes, establishing general principles of learning for others to follow. It encompasses theorizing, speculation and subsequent analysis and includes such activities as methodical research and development. Researchers leveraging a system of theoretical inquiry will engage in methodical evaluation of past work on the subject under investigation. Such analysis can take the form of bibliographic research, examining previous studies in a variety of formats such as books, papers, prints etc. It may also take the form of meta-analyses and literature reviews, among others. Researchers employing theoretical inquiry methods are limited by the extent of their access to available material as well as by their capability to find relevant material among what is available to them. Subsequent research is then subject to the researcher’s interpretation of past research, and limited by his understanding of the subject under investigation. 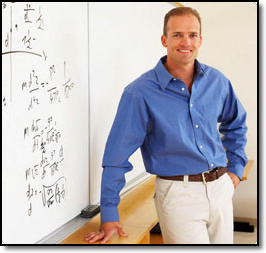 Paper Masters writes custom research papers with theoretical inquiry methodology.